Crafting a brand’s edge relies on effectively communicating their differentiators. 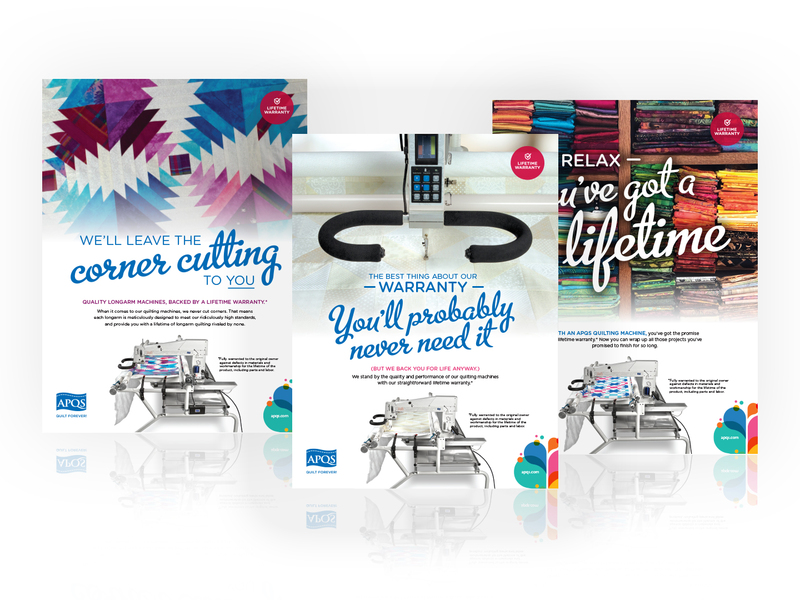 For APQS, this meant confidently and cleverly calling attention to one of itsstrongest differentiators: its lifetime warranty. 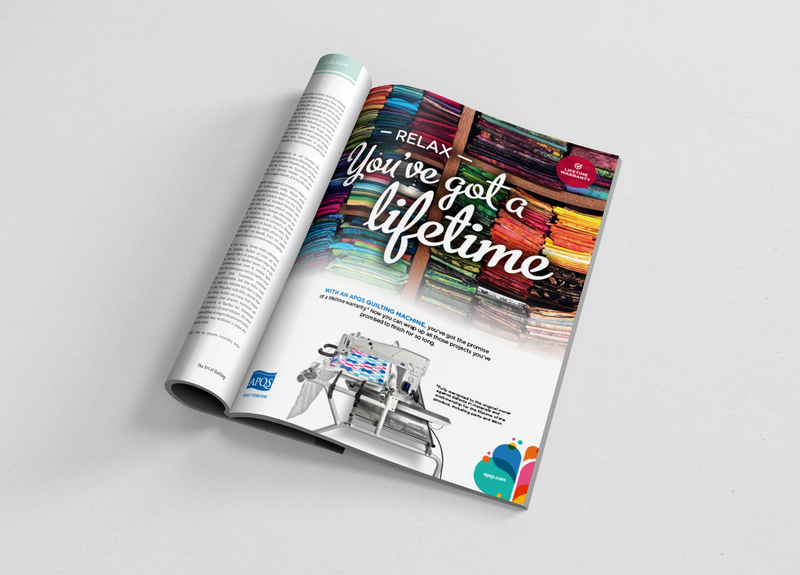 We coupled bold headlines with bright imagery to create print pieces that firmly stitched APQS into first place in the minds of their customers.